Although the Indian government were publicising this positively, the disruption it caused was severe. The severity of this policy was largely fuelled by a number of reasons but the sudden nature of the announcement caused a nationwide frenzy followed by cash shortages and a significant disruption to the economy. With the Indian population now over 1.3 billion people, potentially more than China, such a drastic change hit many hard in the largely cash-based country and led to nationwide disillusionment. As a result, people wanted to find an alternative that they could use and trust to transact, store wealth and evade government intervention. Why is India Perfect for the Bitcoin Revolution? It is often a topic of discussion about Bitcoin’s place in the developing world. In the developing world, only 41% of people have bank accounts compared with 89% in the developed world. Within developing nations, cash is king and has been for many years. Most individuals in these nations won’t have experienced the modern forms of banking that the developed world are used to and any change to this would require a gradual introduction of change to ensure an efficient deployment. However, people in developing nations now have a chance to skip the current banking infrastructure we have in place and move straight towards a trustless, decentralised and immutable financial system. India has announced their aggressive plans to become the first digital society and Bitcoin will play a major part in that. One of the major reasons as to why India is perfect for the Bitcoin revolution is due to their population’s lack of banking infrastructure. India is the 7th largest economy in the world, based on their nominal GDP of $2.5 trillion. However, there are 233 million people in India who do not have a bank account, which is one of the highest figures in the world. To put that in perspective, the population of the UK is 65 million. This means there are 3.5 times more people in India that do not have a bank account then people living in the UK. Bitcoin has the potential to bridge that gap. In order to get a bank account, a person must have a form of identification and a fixed address, alongside some other information, which for many people in India just isn’t a possibility. As a result of this, these individuals are limited to a cash based system by no fault of their own and thus stifling their economic reach. Bitcoin does not discriminate in the same way. Instead, the unbanked in the world can essentially skip the troublesome financial system today and utilise a transnational cryptocurrency called Bitcoin. Another major reason why India is a perfect place for Bitcoin adoption is due to the overall population’s attitude towards their existing financial system. As mentioned at the beginning of this article, India recently went through an aggressive demonetisation period that forced people to deposit their high-value Rupee notes into banks, so that they can be removed from the money supply. This resulted in 86% of the country’s cash to be rendered worthless should people not deposit money into their bank accounts. The problem with this is, as mentioned, a large number of people simply do not have bank accounts and therefore were unable to exchange their currency. Prior to this, India was largely a cash based society with people opting not to use banks due to a lack of trust, infrastructure and also to keep their wealth away from the prying eyes of the government. The demonetisation in India resulted in the country experiencing a Bitcoin boom. New startups were being formed and a large premium was placed on the price of Bitcoin as the demand was so high. At times this premium reached $300 a coin and is symbolic of the emotions felt by the Indian population towards demonetisation and India’s war on cash, as people were now waking up to a new type of system away from government and bank control. On the 2nd July 2015, Indian President, Narendra Modi, announced his digital reformation plan called Digital India. This campaigned aims to make the Government’s services available electronically, improve the digital infrastructure in India and increase the internet connectivity in the country. This digital aim to empower technology in India has also aided in the positive outlook on Bitcoin on a governmental level as well. For a number of months now, it has been widely speculated that India is about to legitimise Bitcoin in a similar method to Japan. 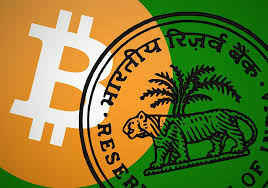 The meteoric rise of Bitcoin in India has not gone unnoticed by the Government and more specifically India’s finance minister, Arun Jaitley. According to local reports, Jaitley had attended and inter-ministerial meeting in order to discuss the risks involved with cryptocurrencies. The meeting was attended by some key figures from the Indian parliament in which the risks associated with Bitcoin were discussed. Following this, Jaitley made an official statement highlighting an in-depth report on Bitcoin will be released in July and will outline the vision of Bitcoin moving forward. Bitcoin legitimisation in India could be just months away, despite the Government highlighting risks associated with Bitcoin which seem to be focused on companies as opposed to the technology itself. The precedent has been set by Japan and India look likely to follow.